Small events the most profound? 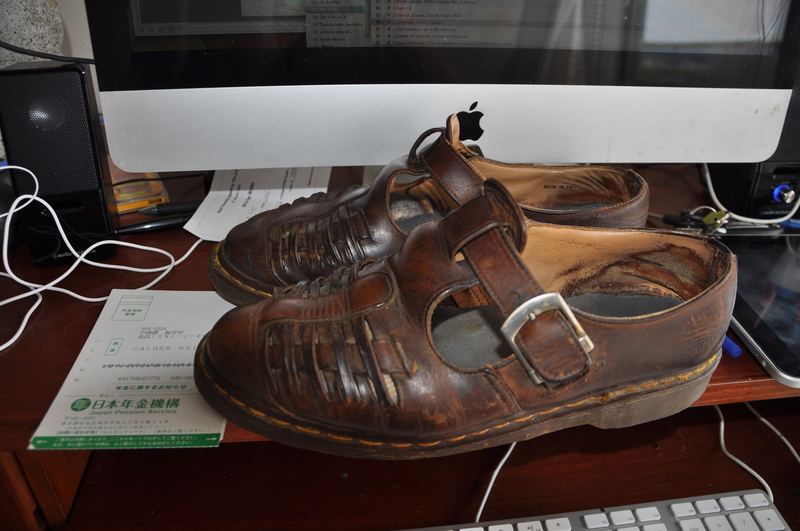 I have had a pair of Dr Martens sandals for about 7 years. I bought them second-hand from Ebay when they were already well used. I think I paid $12. 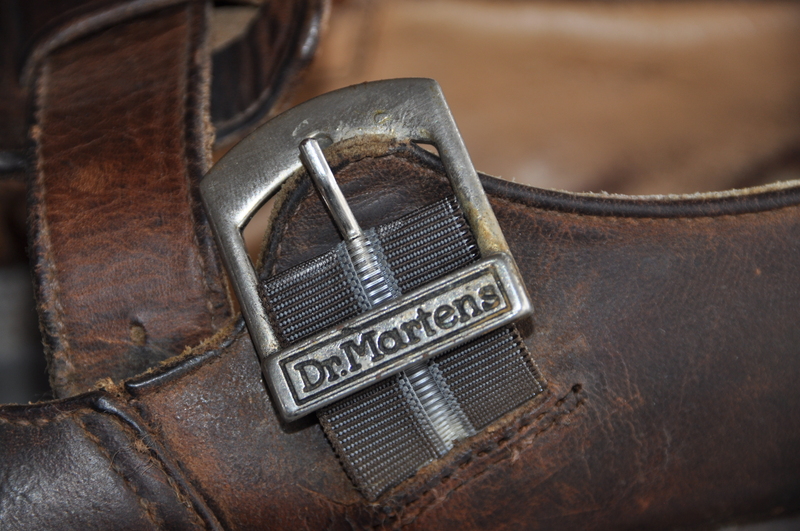 I have a soft spot for Dr Martens shoes as they are made in Northampton in England. I used to live nearby and a shady friend would supply me with boots that he had liberated from the factory. Anyway these sandals have been everywhere with me, seas, deserts, maquis, slaps, stiles and have given me a strange comfort. We are very good friends. They remind me of the Clarkes sandals I wore at preparatory school. Alas a few months ago the buckle attachments broke on both shoes. They flopped around on my feet but I continued to wear them. I felt that a dreadful moment had come when I would have to betray my old friends by putting them in the cupboard and then, after a certain civilized period of mourning, consigning them to the trash. 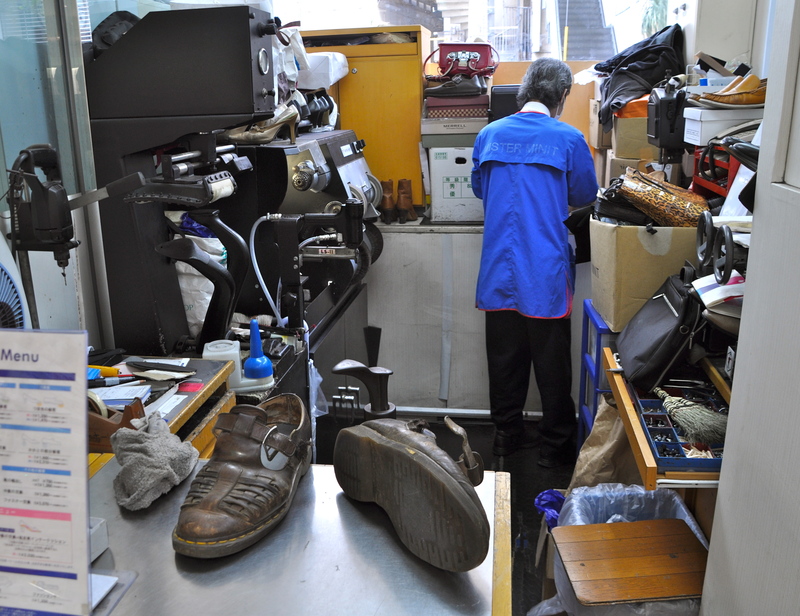 During my stroll around Naha this morning I happen across a cobbler. He fixes my shoes. I was all so easy. It took 10 minutes.